The exclusive builder, Brian Grainger and Solid Construction Services offer many standard features many options are available. The only limit is your imagination, so why not have some fun. Old Mill Park located in Sycamore, and Riverbend located in Genoa are both near shopping, several medical facilities as well as access to major roads are close. Both offer a rural feeling with wide open areas and beautiful views. Contact Linda Tillis Century 21 Affilaited for details. 815-762-6096. 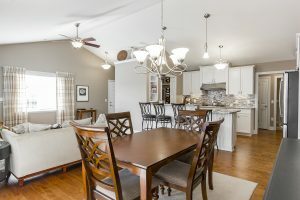 You will be AMAZED at the By Grainger homes. The open and spacious floor plan as well as the design quality. Don’t forget about the expert workmanship. But remember it is all about what you want in your new home. 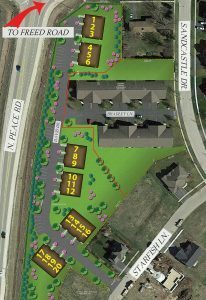 Now is the time to reserve your perfect spot at Old Mill Park in Sycamore or Riverbend in Genoa. Have fun by keeping it simple or choosing from the many options. From start to finish and beyond we will be there for you. Where do you entertain in your home? Is it the kitchen? From breakfast to after work. Even at a weekend gathering of family & friends everyone seems to meet in the kitchen. It is the heart and soul of most homes. 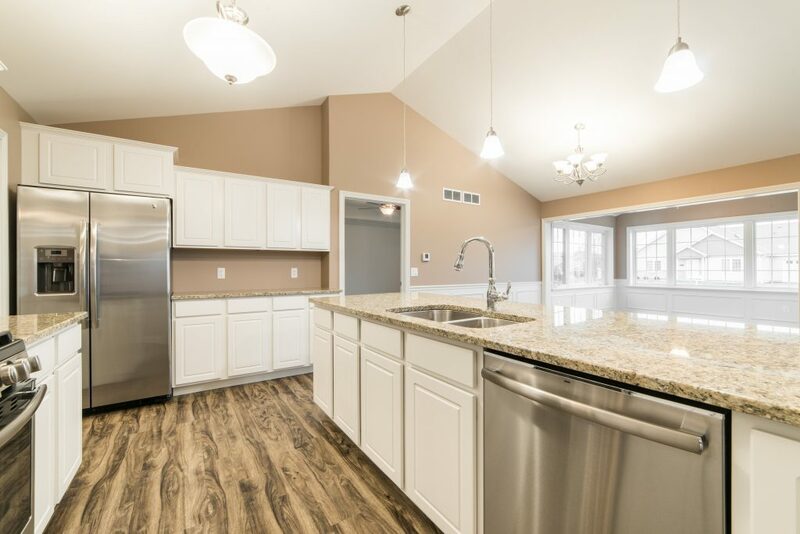 Old Mill Park in Sycamore or Riverbend in Genoa offers a large open kitchen area that was created just for you. With the many new standard features and unlimited options available to you there is no reason not to have the entertainment spot that your want. 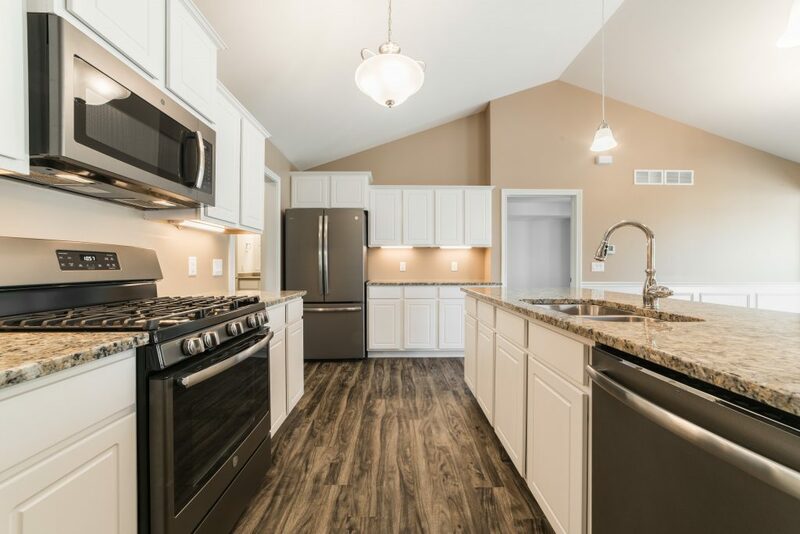 Contact Linda Tillis Century 21 Affiliated for details and reserve your new 55+ retirement home at Somerset Farm in just the right spot for you. 815-762-6096. Brian Grainger the exclusive builder will be there from start to finish and beyond to make sure you have the ultimate home buying experience. 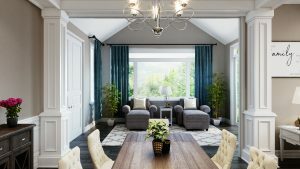 Most homeowners want to make their home reflect who they really are and not so much what is popular. 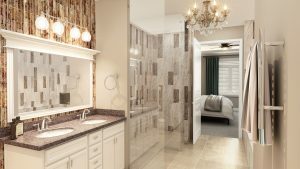 Create a home that you can “live” in and that can be used for other purposes or enjoy the master bathroom with a ceramic walk-in shower or a spa style master bath. Instead of looking at pictures, look at your own home. “Stairless living” no stairs- even through the front door. Unless you would like a basement. Attached oversized garage with a remote opener. The ability to chose standard features or have FUN and choose from the many options available. Our homes also offer huge windowsills great for plants and other nick-knacks, beautiful wainscoting and custom trim just for starters! The MANY standard features and the available options will help you to create the home of your dreams! The possibilities are endless! Have some fun! Call and reserve your new home at Old Mill Park in Sycamore or Riverbend in Genoa. Contact Linda Tillis Century 21 Affiliated for details 815-751-3159. 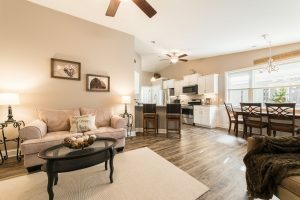 Living in a Independent Living Townhome at the Hickory Terrace Retirement Community is just the way to enjoy the next phase of your life with “No Worries”. Just remember you can enjoy the beautiful open views and never need to worry about the maintenance. We also have several activities available to you. You can even meet with the builder Brian Grainger who will answer any questions you may have. Brian wants every tenant to have a unique leasing experience. He strives to insure that you are completely satisfied from your first visit to the community and into the future. 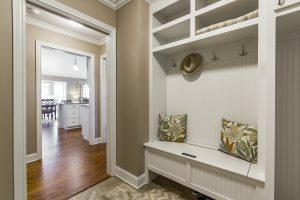 Changing or upgrading your interior trim in your new retirement home at Old Mill Park or Riverbend will completely change the look of a room. 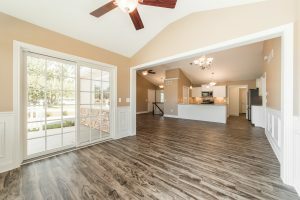 It can be a very simple change or more dramatic and something that the professionals at Solid Construction Services can complete . 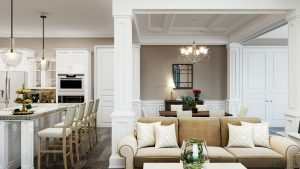 Something as simple as adding chair rails, crown molding or even the color can dramatically change your rooms. 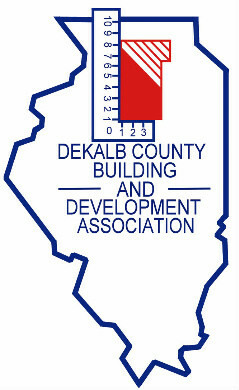 We offer an unequaled selection of quality products and have the ability to professionally provide ALL services. Contact Linda Tillis Century 21 Affiliated 815-762-6096 to schedule an appointment. Why Not Riverbend Or Old Mill Park? Why not either of these new communities? 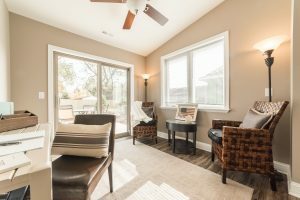 You can relax in your Sun room and enjoy the beautiful bright and sunny days that are ahead. Maybe on a warm day take a walk to the clubhouse and visit with friends or take part in the many planned activities. 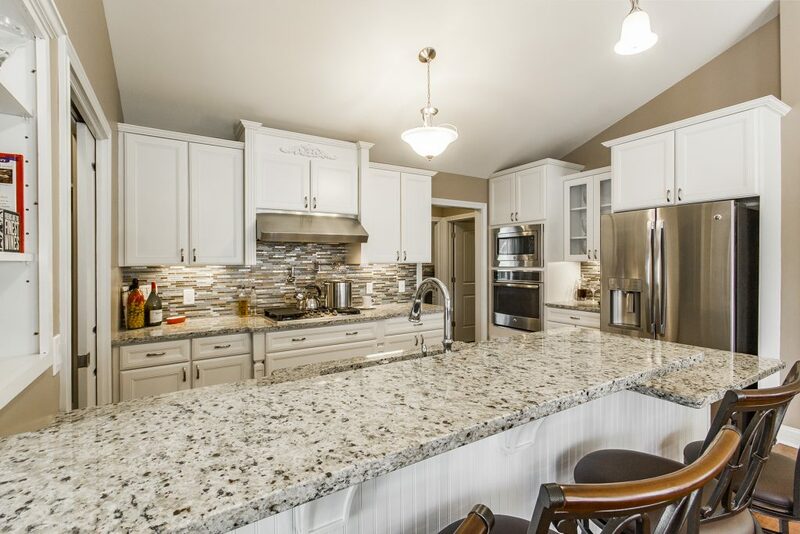 Solid Construction Services is the exclusive builder for Riverbend in Genoa and Old Mill Park in Sycamore. Brian Grainger, the President has built 400+ homes in DeKalb County and offers a “Solid” floor plan in the Mirabell model that is built with or without a basement. There are so many NEW standard features and the options are up to your imagination. Keep it simple or let your creativity abound. Contact Linda Tillis Century 21 Affiliated 815-762-6096.